No matter your field of expertise, there is something that you just can't do your work without. Some that maybe a hammer, others it may be a computer. For us, it's a map. The highest quality of maps at that. The phrase devil is in the details rings true for us. We try to gain as much information on a specific property from a map prior to getting on site, therefore we can make the best decisions moving forward. Considering all of this, it only makes sense for us to work with Hunterra Maps. 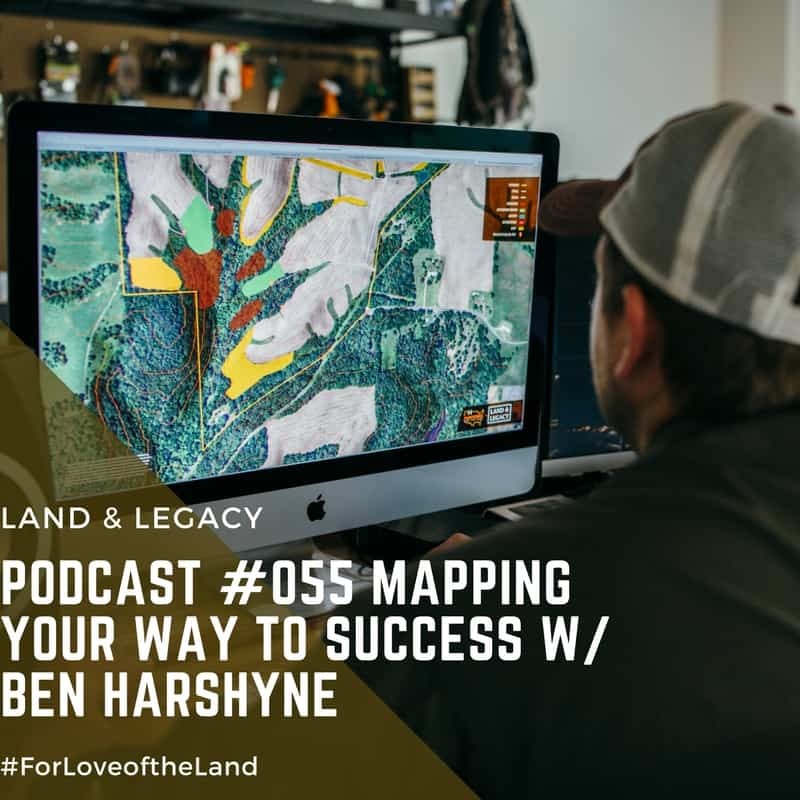 This week sit and talk with Ben Harshyne of Hunterra Maps. We dive into the passion and origin of these maps they create for hunters and land managers. These maps are practical, functional, and high quality. Learn how Ben recently used these maps to gain intel and document his time in the field during the #shedrally. Previous PostPodcast 54: Are You Leaving a Legacy?